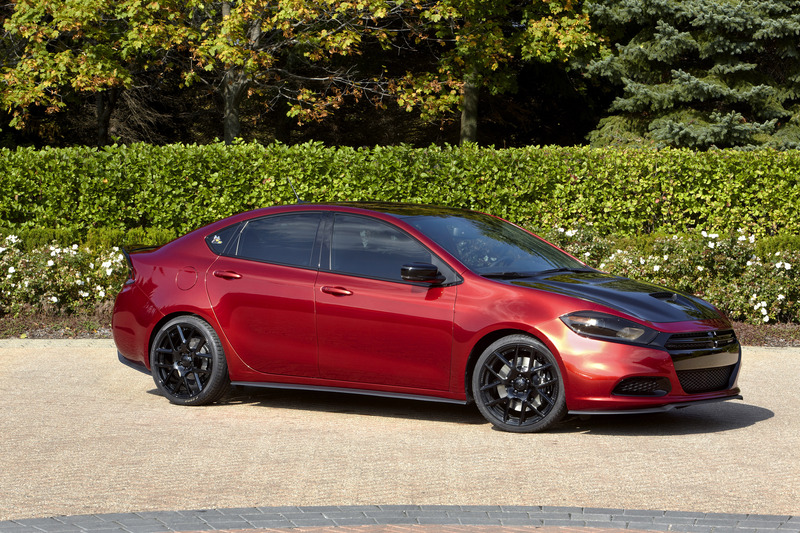 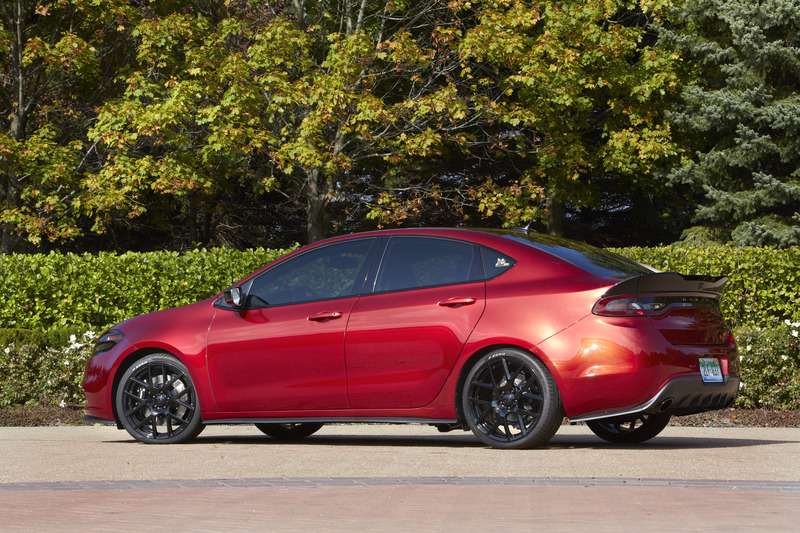 The aero package from the limited-edition Mopar '13 Dart is imported into the 2014 Dodge Dart, with Mopar side sills, chin splitter and rear diffuser, and a unique new three-piece decklid spoiler to boost downforce. 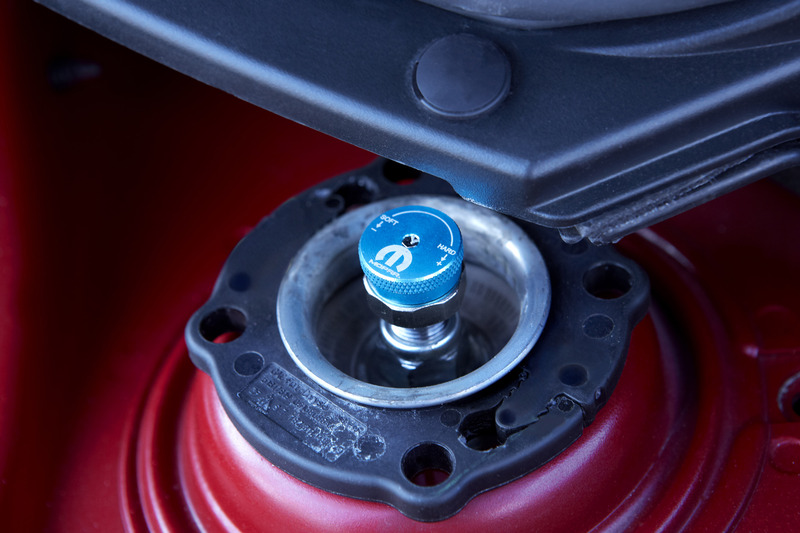 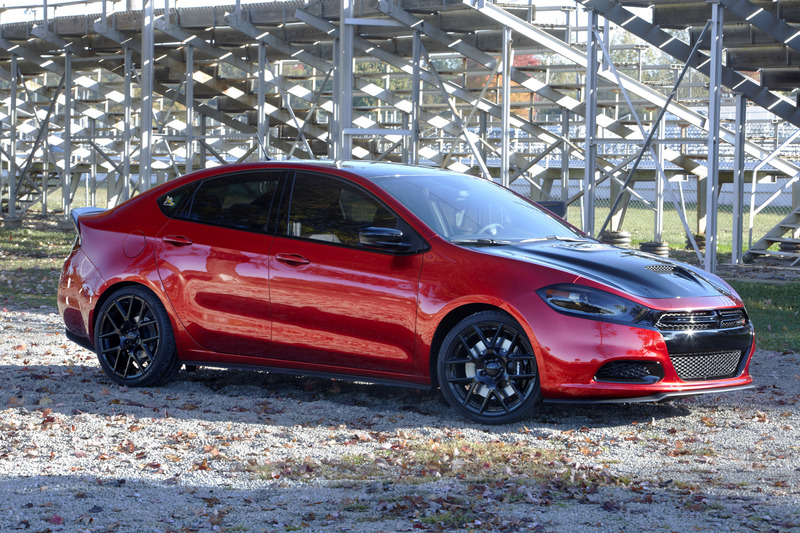 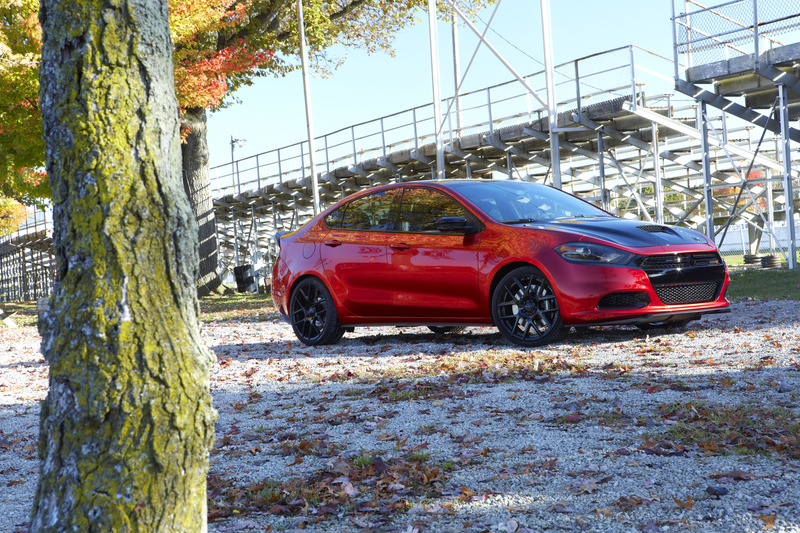 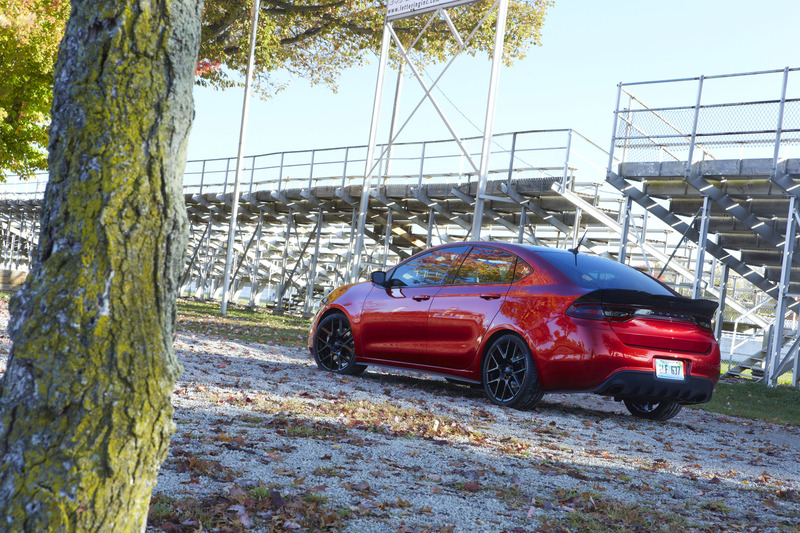 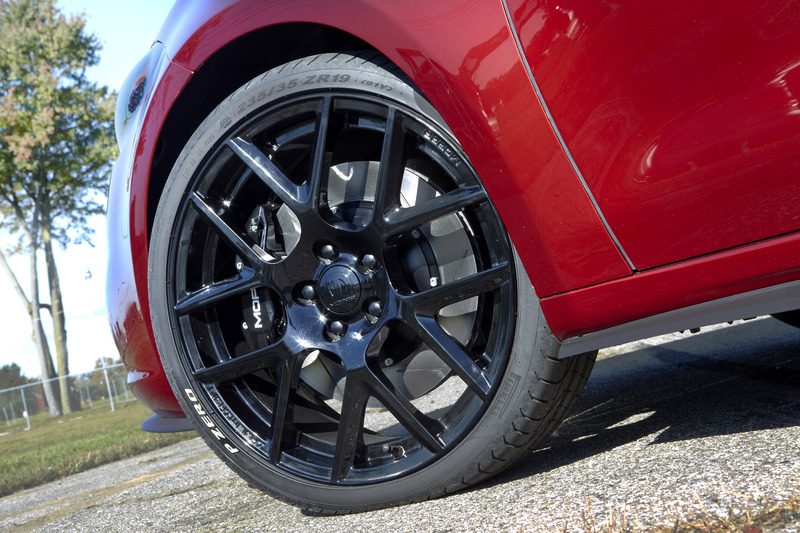 A new exhaust dump with side exhaust helps the engine breathe, and the Dart rides on concept 19 x 8-inch lightweight gloss black wheels, accented with Mopar logo center caps. 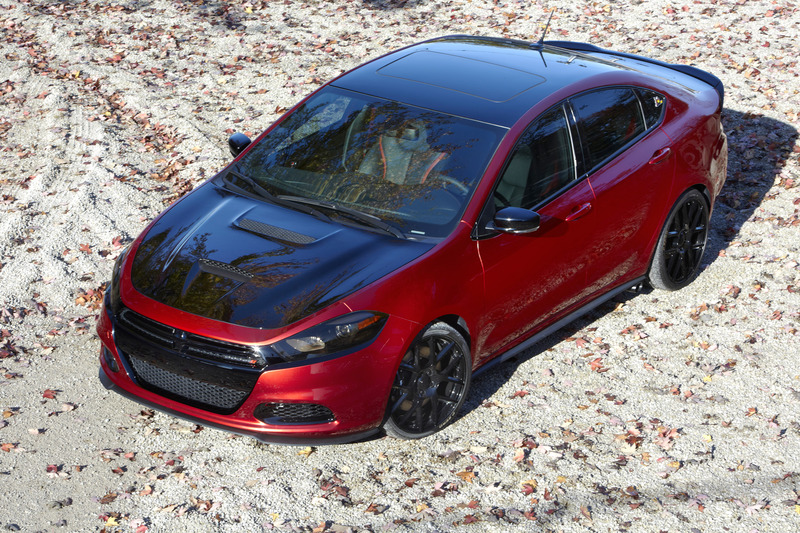 As with the Dodge Challenger and Charger, Katzkin performance leather seats add a premium touch to Dodge Dart's interior. 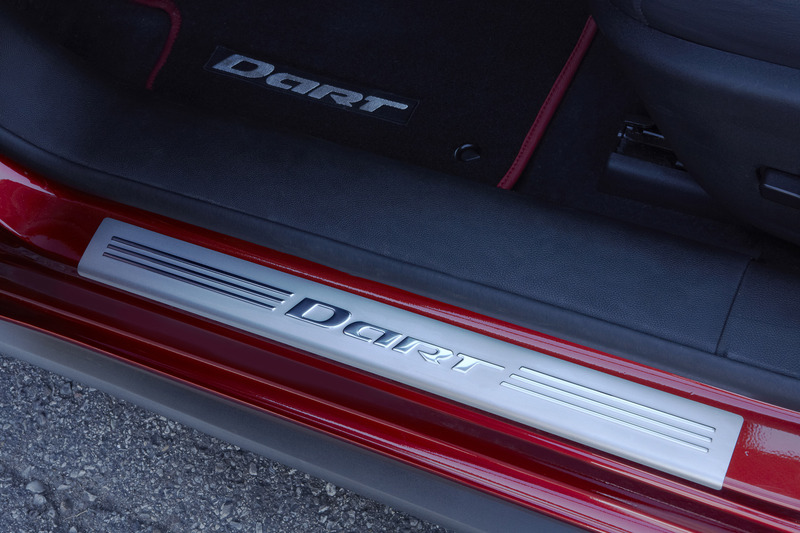 Door bolster inserts with a red border and red accent stitching on the seats, dash, armrest, wheel and shift boot are also found inside, along with red seat-belt webbing on the driver's side, red trim accents and premium floor mats with red piping. 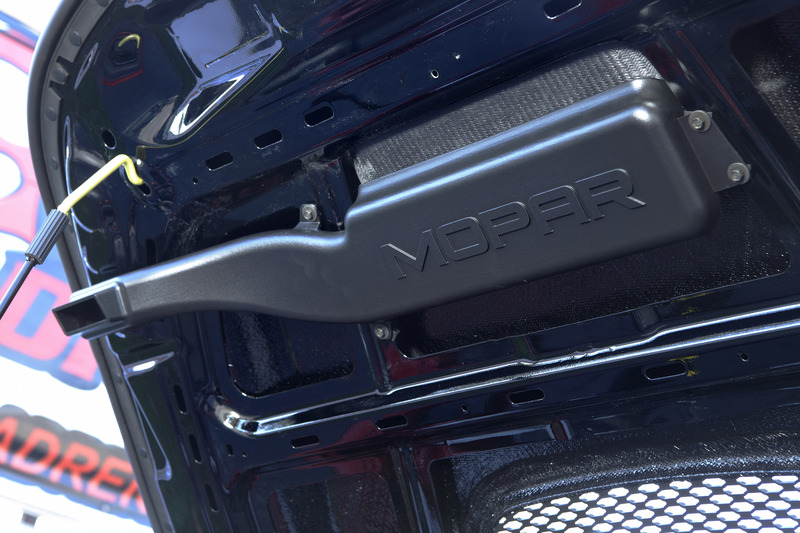 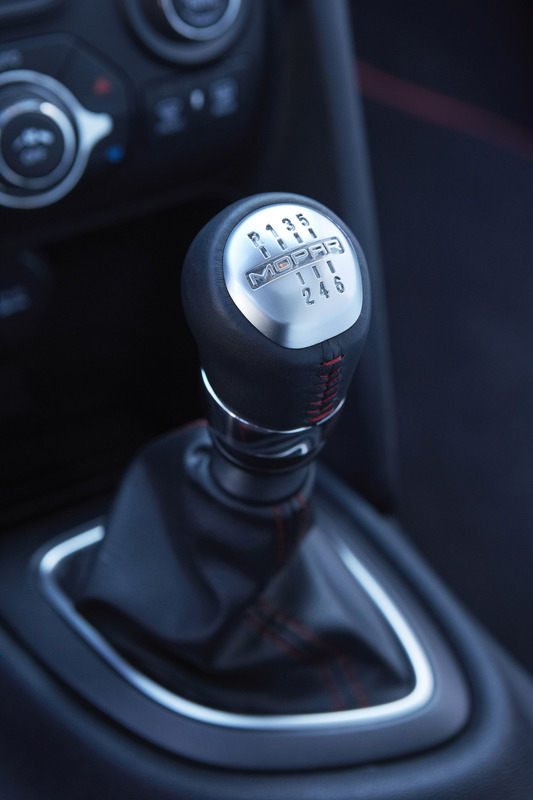 Black chrome graces the door pulls, HVAC bezels, and shifter cluster, while an array of Mopar accessories, including the bright-pedal kit, leather-wrapped shift knob, bright door-sill guards, molded cargo tray and wireless charging complete the interior.